At our Winter Congregational Meeting on January 22, we discussed the future of the church and what options we have after our minister retires this summer. First, I spoke about the optimism and enthusiasm that was present in our community after building our new Fellowship Hall and calling a minister eight years ago. While that decision was before my time here at UUCBG, in conversations I have learned that we knew it would be a financial risk to build the new building AND call a full-time minister. In anticipation that these two items would lead to further growth, we hoped revenues would rise to meet these new expenses. This did not happen, in part because we suffered some challenges, starting with the storm that flooded the building we had just built, and also dealing with a painful conflict that took years to resolve. We lost cherished members who moved to other states to live with family or pursue other endeavors. And so we must now face the reality that our revenue cannot fully support the new building and a full-time minister. I spoke about how these challenges have shifted our “way of being” and “what is feels like” in the church from an “outward” focus (“We’re terrific and let’s share the love!”) to more of an “inward” focus (cutting costs, improving / creating policies, and getting more organized). These efforts are important, natural, and healthy. To quote the literature (Durall, 2015) we are a “problem solving” church, not a “problem making” church, and that is a very good thing. We have matured and grown, but how do we get that sense of well-being and optimism back? WE CAN. This is entirely possible. Churches the world over have endured difficulties worse than ours yet gone on to prosper spiritually, emotionally, and financially. The UUA and others have learned what this requires. It involves coming to terms with our past in a way that allows us to let go of lingering upsets and resentments. It involves re-assessing who we are, what we want to be, where we want to go, and taking action. There are ministers who have been specifically trained and certified to guide these conversations. At the January meeting, members of the congregation discussed the difference between Interim Ministers, Consulting Ministers, and Called Ministers. We addressed our finances and realistic options for moving forward. 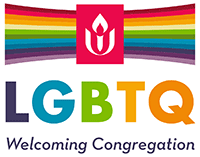 I encouraged everyone to read the UUA’s online Transitional Ministry handbook and also Durall’s Don’t Wait Until the Pastor Leaves. Everyone agreed that we must re-establish a positive cash flow. We could partially fund a minister with a loan from the Endowment Fund, and we will explore this possibility. The Congregation voted unanimously to approve the Board’s completion of the online application for an Interim Minister. This does NOT obligate us in any way, but it will allow the UUA to supply us with possible candidates. Members who missed the January meeting are encouraged to attend the 11 am service on February 26, where we will have a meeting immediately after the service or include the discussion as part of the service itself. The Board and I would like all of members to be informed and participate in the discussion that leads to this very important decision regarding the future of our church.